Last week in a press release, CEO of Honda, Takeo Fukui announced that Honda was putting back the launch of its Acura brand in Japan by 2 years. Fukui cited concerns over the suitability of the Japanese market for the Acura brand as the reason for the postponement. This also leads to the delay of the Acura NSX replacement, which will be badged an Acura worldwide this time around (it was a Honda outside the U.S. previously). 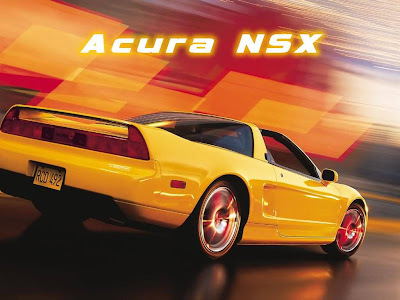 There is also the possibility that we don't get to see the NSX's replacement until 2011, since the Tokyo Auto Show is in run once every two years, and the 2009 show will be too early. The Acura Sports Car Concept (ASCC) revealed at the 2007 North American International Auto Show in Detroit was not well received. The ASCC was designed to have Acura's most powerful engine, a new high-performance front mounted V-10, and rear-wheel drive based version of Acura's exclusive Super Handling All-Wheel Drive. 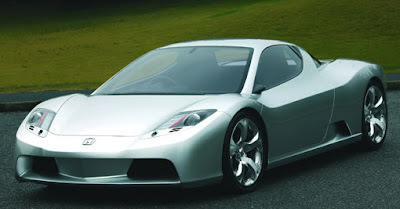 At one point, the Honda Sports Concept (HSC) was rumored to replace the NSX. Many people liked this idea, however for some reason Honda scrapped the development. The HSC featured a lightweight 3.5-liter V-6 engine located midship for optimum balance and superior handling. Shifting is accomplished through a unique dial shifter located on the center console or an F-1 style paddle shifter located on the steering wheel. The HSC features a 4-wheel double wishbone suspension with six-piston caliper Brembo disc brakes on each wheel. I don't know what Honda is up to, but I am somewhat disappointed about the development of the next NSX. Lexus' LF-A is starting to look really good right now. I can't believe how down hill it has gone for Honda's sport cars. Currently, there are no coupes in Acura's lineup!